The National Enquirer has come under fire after allegations from Jeff Bezos. 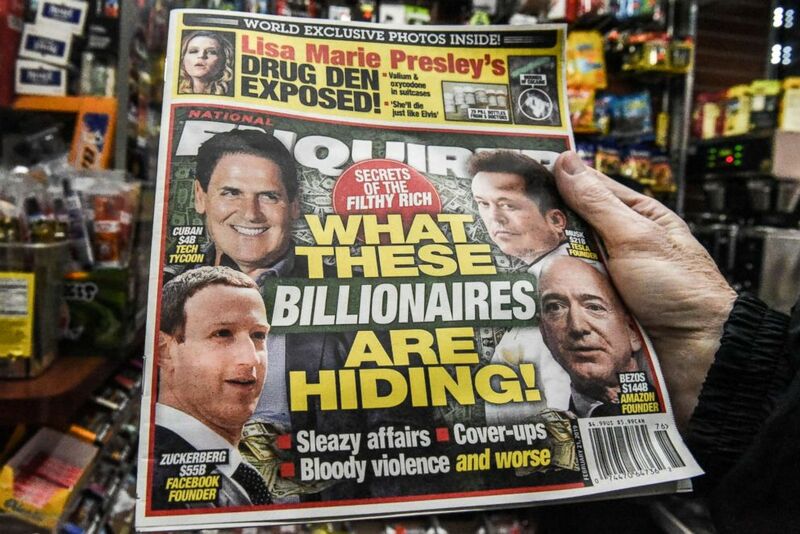 The National Enquirer, which is under fire after the world’s richest man, Amazon CEO Jeff Bezos, accused the publication of blackmail, has another problem...and this one comes with dollar signs. The NJ State Treasury, which has hundreds of millions of dollars in a fund heavily invested in the Enquirer’s parent company, American Media Inc., quietly raised questions about the tabloid’s practices in a recent phone call, an official told ABC News. The office reached out to Chatham Asset Management, a hedge fund that manages nearly $600 million for New Jersey public pension holders, to remind the firm of its duty to protect investors from undue risks, according to Adam Liebtag, acting chairman of the state's investment council. (Stephanie Keith/Getty Images) A copy of the National Enquirer is photographed at a convenience store on Feb. 8, 2019 in New York. Liebtag said Chatham was responsive, but the state is exploring all available options because of the Enquirer’s alleged conduct. "When the AMI-Bezos story came out we were deeply concerned with the allegations," Liebtag said. "The allegations, if they’re true, are unacceptable and violate the conditions we have for the pension funds." (Joshua Roberts/Reuters, FILE) Amazon CEO Jeff Bezos speaks during a conference in Washington, March 7, 2017. 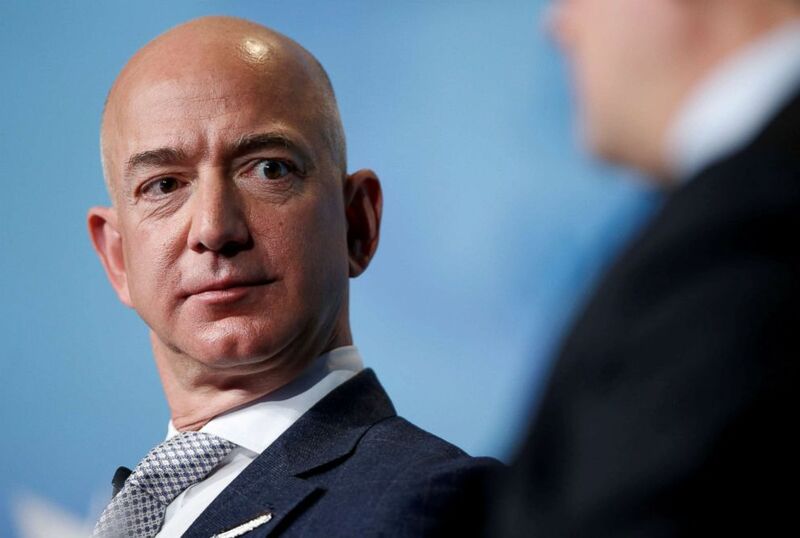 Pecker has denied the allegations leveled by Bezos. New Jersey’s pension funds do not directly invest in any company but place money in funds like Chatham. Chatham, in turn, holds a stake in AMI, which owns the Enquirer and is headed by President Donald Trump’s longtime confidante David Pecker. Liebtag said Chatham performed well for pensioners but the state must adhere to higher standards. "Performance has been good to date but that’s no excuse," Liebtag said. The state treasury’s division of investment has invested twice in Chatham, once in 2014 and one in 2017. "While DOI plays no role in the management of a fund’s portfolio companies, it expects the funds to invest in good businesses with strong management teams that follow all applicable laws," the NJ State Treasury said in a statement.